But here we are months later and, sure enough, some of that novelty has worn off. What the heck? How does it get this way? It seems as though no matter how long it has been since I spent matching up containers with lids and getting everything perfectly organized, it is back to this jumbled mess in a matter of minutes. Alas, this is just the way that it has always been and, until recently, the way that I assumed it always would be. The question running through your mind right now is Why hasn't this existed before? isn't it? Because, YES. It should have. 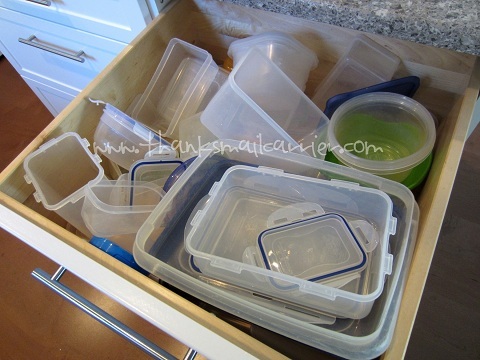 Just think of all of the time, stress and hassle that could have been avoided had I dumped out my messy drawer and replaced everything inside with containers with attached lids! Genius! The only container of its kind, Mr. Lid has a patented attached lid design with SealSafe hinge that ensures that you never have to go digging through a mountain of messy plastic again. To be honest, just from seeing the picture and reading the words "attached lid," I was waiting at my front door for these to arrive. I'll also be honest in saying that I was pretty sure that Mr. Lid was too good to be true. They had to been cheaply made, right? Or the lids were going to break off after two uses? Not safe for the dishwasher? 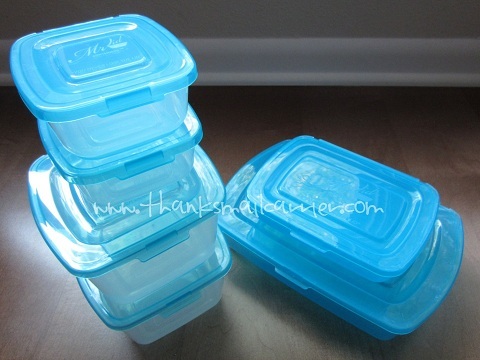 C'mon, there's got to be some reason that every home isn't solely purchasing these containers, isn't there? After quite a few weeks of using these, I haven't found a single thing. They are spill proof, BPA free, dishwasher and microwave safe, and 100% Made in America. 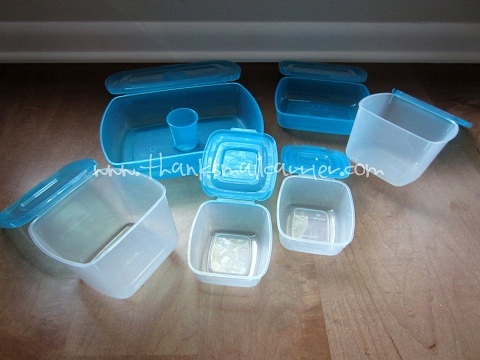 They stack within each other perfectly, so they don't take up any more space than any other containers would (in fact, for us they take up much less) and they truly have eliminated the frustration of pulling out a container and spending far too much time digging through the drawer and holding up various lids to see if they match. 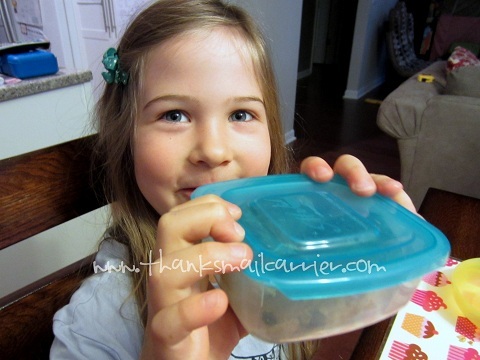 ...and Big Sister E even specifically asks for "the ones with the blue lids attached" for her lunches so that she doesn't have to worry about losing anything when she is unpacking and packing in the lunchroom. 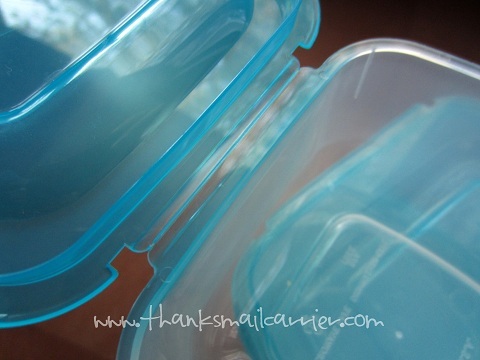 Even my husband (who is often quite cynical when it comes to just about any new product), has made multiple comments on wanting to purchase more Mr. Lid containers, as well as giving them as future gifts. They're just so easy to toss into the dishwasher and, along with coming out sparkling clean, they can be moved directly into a drawer or cupboard without a second glance. When you reach in later? The top and bottom are still together, of course! Just add food and repeat! 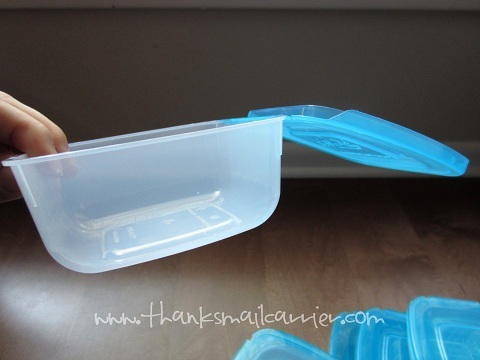 Whether you are using Mr. Lid for food, to store pet food, or for organising school, craft or office supplies,once you've tried these innovative containers, you'll be hooked as well. I really have only come up with one single complaint: Why didn't I think of this idea first? Currently only available online in Australia at www.mrlid.com.au Mr. Lid comes in a variety of sizes from small to big and can change the way that you think about storage in the kitchen. Be sure to visit www.mrlid.com.au to find out more, as well as connect with them on Facebook Mr.Lid Oz and Instagram @mr.lid.oz.